Fostering a pregnant cat can be full of surprises. How many kittens will she have? What day will they be born? Will they look like Mom? For one local family, their foster assignment came with an extra surprise. One of our rescue partners was scrolling social media when a post caught her attention: someone found a cat who had just given birth and was seeking help. Our partner immediately found a volunteer to take in the new feline family. 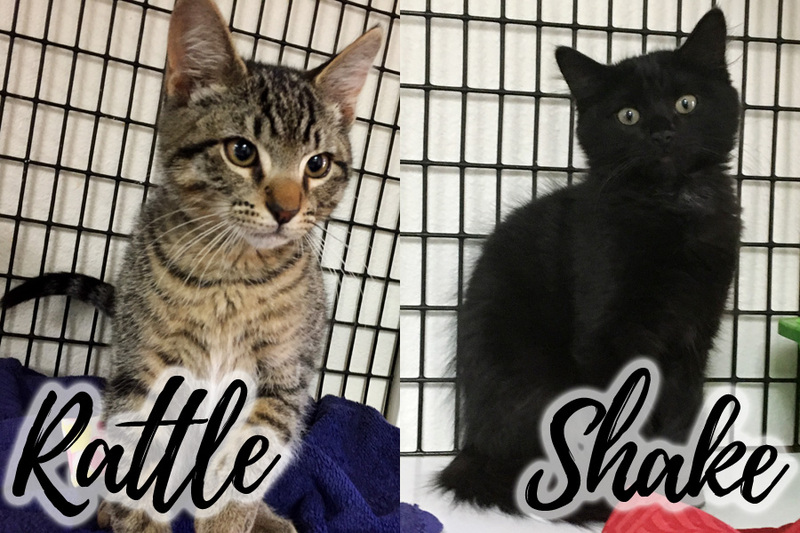 Fiona (a petite 1-year-old tabby) and her two kittens (one tabby and one black, both boys, named Shake and Rattle) arrived in their temporary home that very same day. The cats settled in nicely. Fiona was so sweet and an attentive mom. Newborns Shake and Rattle were healthy and thriving. The volunteer thought this would be a typical foster assignment, but that was about to change. 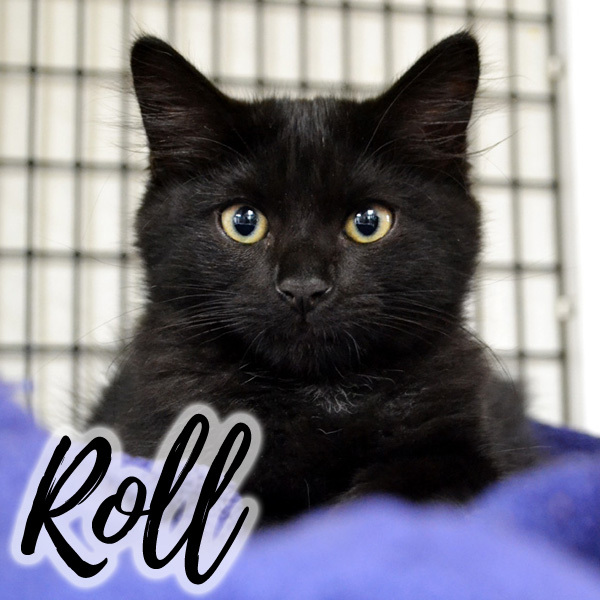 Two days after their arrival, Fiona delivered a THIRD kitten: another black-furred boy named Roll! Thankfully, this surprise sibling was healthy and quickly caught up with his brothers. Fiona and her triplets stayed in foster care until they were almost ready to find forever families. For help with that step, our rescue partner contacted Helen Woodward Animal Center. We were amazed by their story and welcomed these kitties into our care. They recovered from their spay/neuter surgeries and became available for adoption. 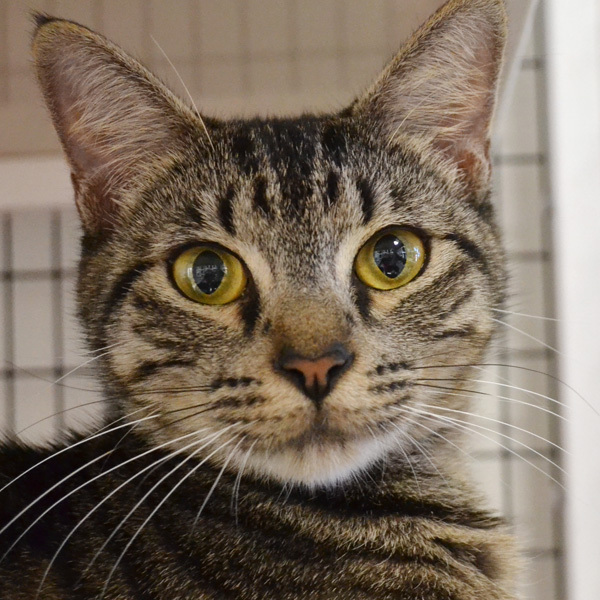 Rattle was the first spunky sibling to be adopted, and we’re sure Shake and Roll will be snatched up by families soon. Mama Fiona is also still looking for a home. When we’re flooded with kittens during the summer months, adult cats are sometimes overlooked. However, Fiona is practically a kitten herself and just as playful. 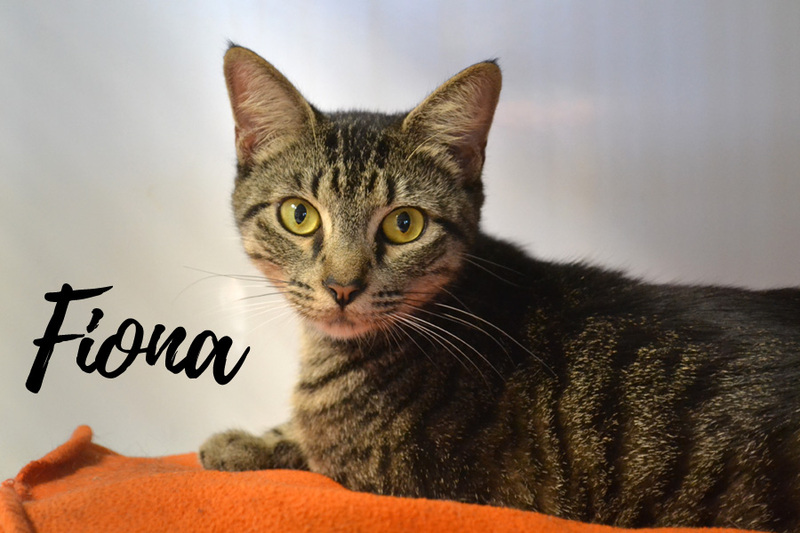 This sweet girl is full of surprises (but we assure you, one of those surprises won’t be more kittens!) Come meet Fiona, Shake and Roll today.